By now you should already know how the story goes. I link up with a dope MC through twitter, we chop it up, send some beats and verses back and forth and viola...we put out a BANGING project! 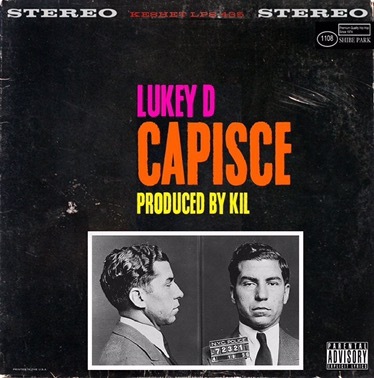 This time 'round it's me and my dude Lukey D from VA with our new album "Capisce" on tap with all the beats produced by yours truly. No need to tell ya'll how dope this jawn is cause like Guru said ya'll know my steez! You can stream it below but why not get in the spirit of supporting dope hip hop and cop it too?